QUICK JUMP: Contestants Pageant Information How to compete in Miss International Queen 2016? In the world of pageantry, there exists a division for transgender women to compete using talent, beauty and wits. Just like any other pageant, the contestants parade in their evening gowns and swimsuits. The most glamorous national costumes in pageants can be seen worn by transgenders. On its 12th year, Miss International Queen has chosen Jiratchaya Sirimongkolnawin as the new queen for 2016. The fight for LGBT and transgender rights has been going on since the 1980s. Miss International Queen was initiated in 2004 with the goal of bringing transgender women together in a pageant and to showcase what they can do to the world. The pageant aims to raise LGBT awareness and help fund Thailand’s Royal AIDS Foundation. Thailand remains to have one of the most prominent LGBT communities in the world with its capital, Bangkok, claimed to be the top gender-change destination for transgender women. Hence, the Miss International Queen is annually held in Pattaya City, Thailand. 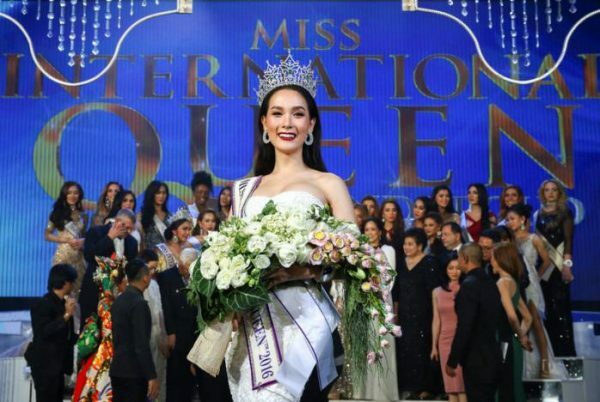 The 2016 Miss International Queen was originally scheduled for November of last year but got postponed to observe the country’s mourning for the late King Bhumibol Adulyadej who passed away on October 13, 2016. 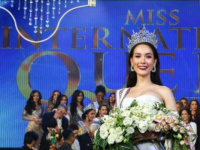 Miss International Queen gathers 25 transgender contestants across the globe where they participate in a two-week activity in Thailand to endorse the pageant. Like in female beauty competitions, the contestants appear in luncheons, press interviews, photo shoots and community outreach as a part of promoting the organization’s mission and vision. Its main objective is to support transgender rights and to create a platform where international transgender communities can share ideas and build friendships. Jiratchaya Sirimongkolnawin, 25, of Thai descent was crowned Miss International Queen 2016 on March 10, 2017. The second and third place went to Nathalie Oliveira of Brazil and Andrea Collazo of Venezuela respectively. Jiratchaya or “Mo” received her first title as Miss Tiffany's Universe in May of last year. According to Reuter report and photos, Mo is described to be wearing a “white glittering and black side rim evening gown” during the coronation night. How to compete in Miss International Queen Pageants?